SKU: ARS-77-1701 Categories: USAF INSIGNIA, AIR REFUELING, SQUADRONS Tags: 916th Air Refueling Wing, 916th Operations Group, KC-135 Stratotanker., NC, Seymour Johnson AFB, USAF 77th Air Refueling Squadron Patch, worldwide air refueling. Lineage. Constituted as 77 Troop Carrier Squadron on 30 Jan 1943. Activated on 25 Feb 1943. Inactivated on 10 Jun 1946. Activated in the Reserve on 15 Jul 1947. Redesignated as 77 Troop Carrier Squadron, Medium on 26 Jul 1949. Ordered to Active Service on 1 Mar 1951. Inactivated on 1 Dec 1952. Activated in the Reserve on 1 Dec 1952. Redesignated as 77 Troop Carrier Squadron, Heavy on 8 May 1961. Ordered to Active Service on 1 Oct 1961. Relieved from active duty on 27 Aug 1962. Redesignated as: 77 Air Transport Squadron, Heavy on 1 Dec 1965; 77 Military Airlift Squadron on 1 Jan 1966. Inactivated on 8 Jul 1972. Redesignated as 77 Air Refueling Squadron, Heavy (Associate) on 14 Aug 1985. Activated in the Reserve on 1 Oct 1985. Redesignated as: 77 Air Refueling Squadron (Associate) on 1 Feb 1992; 77 Air Refueling Squadron on 1 Oct 1994. Assignments. 435 Troop Carrier Group, 25 Feb 1943; IX Troop Carrier Command, 15 Nov 1945; 316 Troop Carrier Group, 11 Dec 1945-10 Jun 1946. 435 Troop Carrier Group, 15 Jul 1947-1 Dec 1952. 435 Troop Carrier Group, 1 Dec 1952; 435 Troop Carrier Wing, 14 Apr 1959; 916 Troop Carrier (later, 916 Air Transport; 916 Military Airlift) Group, 17 Jan 1963-8 Jul 1972. 452 Air Refueling Wing, 1 Oct 1985; 916 Air Refueling Group, 1 Oct 1986; 916 Operations Group, 1 Aug 1992-. Stations. Bowman Field, KY, 25 Feb 1943; Sedalia AAFld, MO, 4 May 1943; Pope Field, NC, 2 Jul 1943; Baer Field, IN, 9-13 Oct 1943; Langer, England, 3 Nov 1943; Welford Park, England, 23 Jan 1944; Bretigny, France, 16 Feb-24 Jul 1945; Baer Field, IN, 5 Aug 1945; Kellogg Field, MI, 23 Aug 1945; Pope Field, NC, 29 Oct 1945-10 Jun 1946. Miami IAP, FL, 15 Jul 1947-1 Dec 1952. Miami IAP, FL, 1 Dec 1952; Pinellas County IAP, FL, 18 Aug 1956; Alvin Callender Field, LA, 16 Nov 1957; Donaldson AFB, SC, 25 Mar 1958; Carswell AFB, TX, 1 Apr 1963-8 Jul 1972. Seymour Johnson AFB, NC, 1 Oct 1985-. Aircraft. C-47, 1943-1946; Horsa Gliders, 1943-1944; C-53, 1943-1945; CG-4 Gliders, 1943-1946; C-46, 1945-1946; C-82, 1946. T-6, T-7, and T-11, 1947-1951; C-46, 1951; C-119, 1951-1952. C-46, 1952-1957; C-119, 1957-1961; C-124, 1961-1972. KC-10, 1985-1995; KC-135, 1995-. Operations. Participated in airborne assaults on Normandy, Holland, and Germany; transported personnel and cargo, and evacuated casualties in European Theater of Operations (ETO) during World War II. Supported occupation forces and evacuated Allied troops who had been prisoners of war. Trained for and flew airlift missions in the Reserve for most of the period, 1947-1972, including airlift to Southeast Asia during the Vietnam conflict. 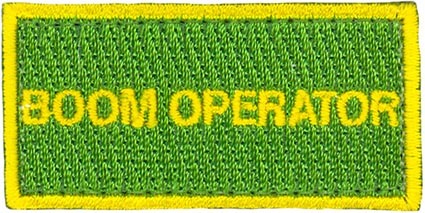 Since Oct 1985, flew air refueling and air transport missions as needed worldwide, taking part in many contingency and humanitarian operations, including air refueling support during the U.S. incursion into Panama, Dec 1989-Jan 1990; the Persian Gulf War in 1991; and Operations Northern and Southern Watch, 2000-2001. Campaign Streamers. World War II: Normandy; Northern France; Rhineland; Ardennes-Alsace; Central Europe. Southwest Asia: Liberation and Defense of Kuwait. Decorations. Distinguished Unit Citation: France, [6-7] Jun 1944. Air Force Outstanding Unit Awards: 1 Aug 1967-25 Oct 1968; 1 Aug 1990-31 Jul 1992; 2 Aug 1992-1 Aug 1994; 1 Jun 2000-31 May 2002; 1 Jun 2002-31 May 2003; 10 Oct 2004-11 Oct 2006; 1 Aug 2007-31 Jul 2009. Republic of Vietnam Gallantry Cross with Palm: 1 Apr 1966-19 May 1972. Emblem. Approved on 4 May 1960.